Opublikowane 11/06/12 o godz.18:48 w kategorii English. 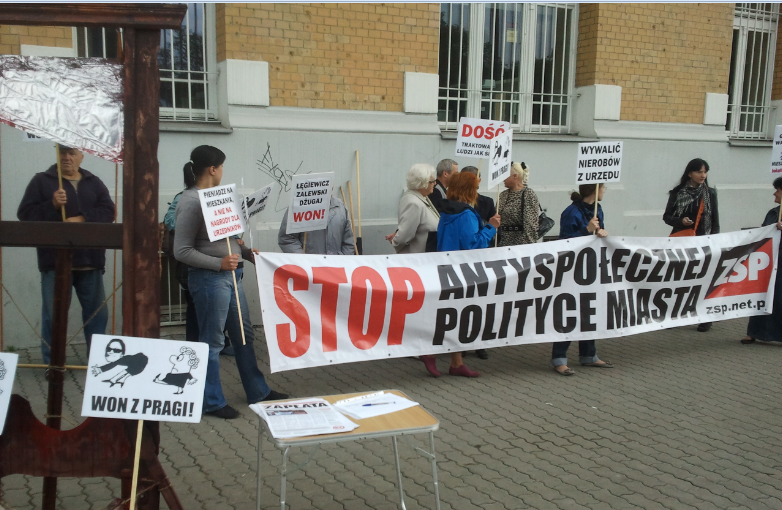 Members of the Tenant s Defense Committee and ZSP took part in an action yesterday against the local government. There is now a campaign to get rid of it and it seems that there is a lot of support. The trickier question is what comes next. Both organizations have called for more popular control, public assemblies, etc. Of course, nothing really libertarian can function within the framework set up by the state, only outside of its realm. 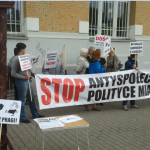 The grassroots movements have to be built up, which is an enormous task given the realities of society in Poland. In the meanwhile, people would like to send a message that those who engage in anti-social actions cannot do so with impugnity.